Each Tour Edge Exotics XCG iron features a dual density dampening system (3DS) that provides responsiveness and great feel throughout the set. Their elastomer inserts are softer in the short irons and firmer in the long irons to promote more rebound for added distance. 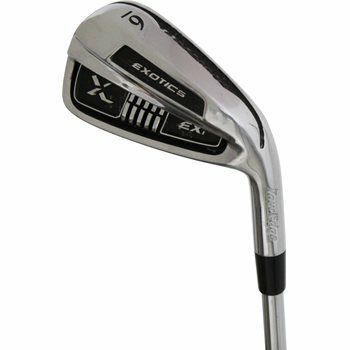 The Exotics XCG irons also feature heavy soles along with thin top lines, Tour grind heels and progressive offset for remarkable forgiveness along with a classic look from address.